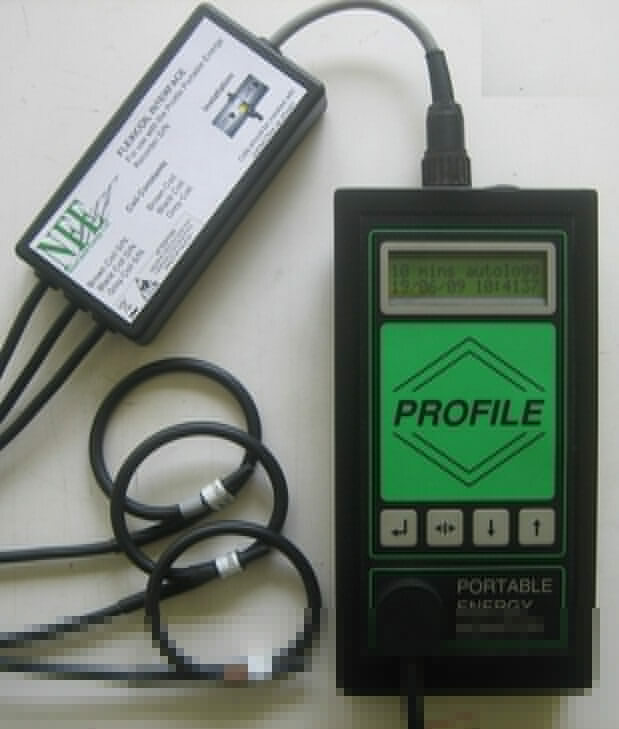 Hire or purchase for electrical energy surveys, meter verification or load checking. Safe & easy to install - no live voltage connections required. Measures current & voltage and records kW, kVAr, Volts, Power Factor. Data stored in user selectable integration period 30/15/10/5/1mins or 10/2s. Large Data storage - 30 mins : 12 weeks, 15 mins : 6 weeks etc. Profile V adds auto HV facility. 3 Flexible Rogowski coils measure current 0-2000 Amps, 65mm ID. LV power lead [standard 13 Amp plug], unit will operate 95V to 265V. ProPower 2 data download & reporting software included along with Data Download App for Android. 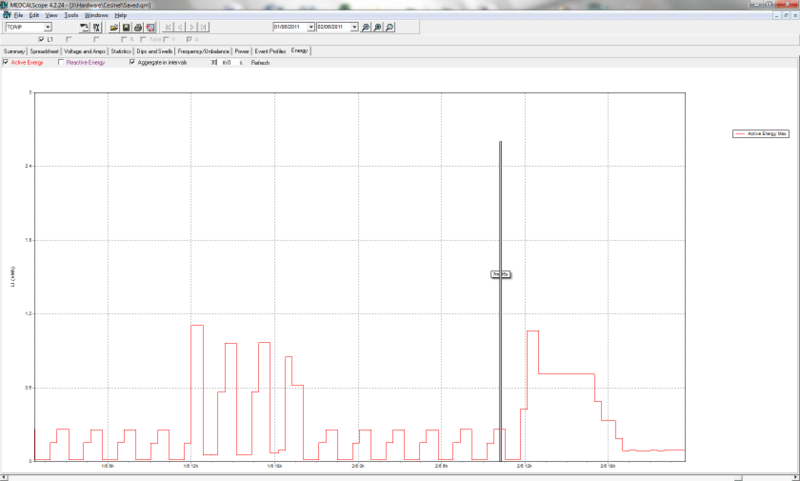 Reporter Professional software also available adding tariff analysis capabilities. 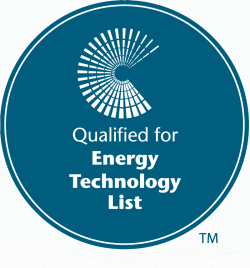 Listed on The Energy Technology List and qualifies directly for the Enhanced Capital Allowance Scheme. The Profile Portable 3 Phase Energy Monitor range is for use anywhere on a site to monitor and record energy use in any single or 3 phase electrical circuit. It is easy to install and the integral L.C.D. confirms measurements being made. 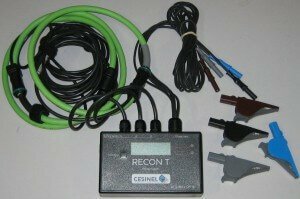 Generally used for short term surveys, the Profile can also be permanently installed to provide ongoing circuit information if required. Profile measures current and voltage and records kW, kVAr, supply Volts, total circuit Power Factor and two pulse Inputs against a user set integration period, . 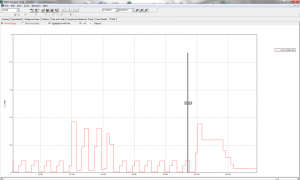 Using this recorded information the ProPower 2 software provides the ability to graph and print information, for all 3 phases or a single phase, on kW, kVAr, kVA, Amps, Volts, and Power Factor. Contact us now for more information or to arrange a demonstration. 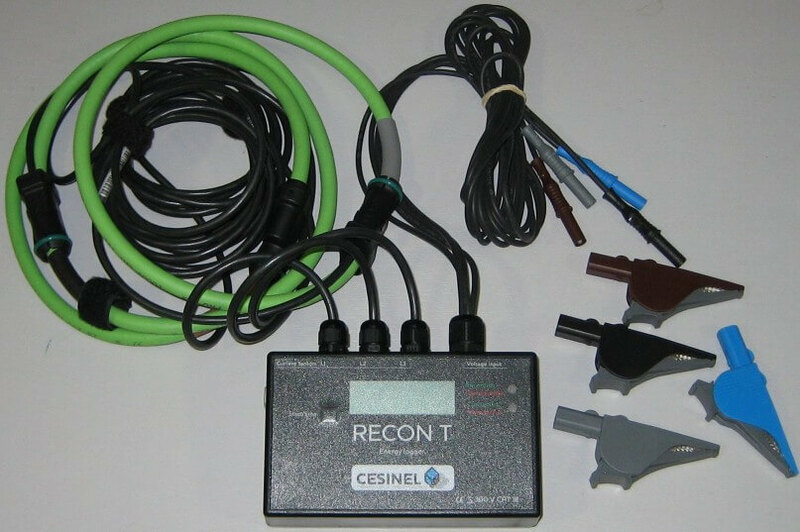 Similar in function to the Profile, the RECON T is a compact and robust portable 3 phase electrical energy logger. Measures RMS Voltage, RMS Current, Active, Reactive and Apparent Power, Power Factor as well as Active & Reactive energy. Full feature MEDCALScope software included. Communications via local USB port or remotely via Ethernet port with built-in web server. Current Range: 50 to 3000 Amps. Record into 1s, 5s, 10s, 30s, 1min, 5min, 10min, 30min or 60min period intervals. Memory of over 6 months with 10 minutes integration period.